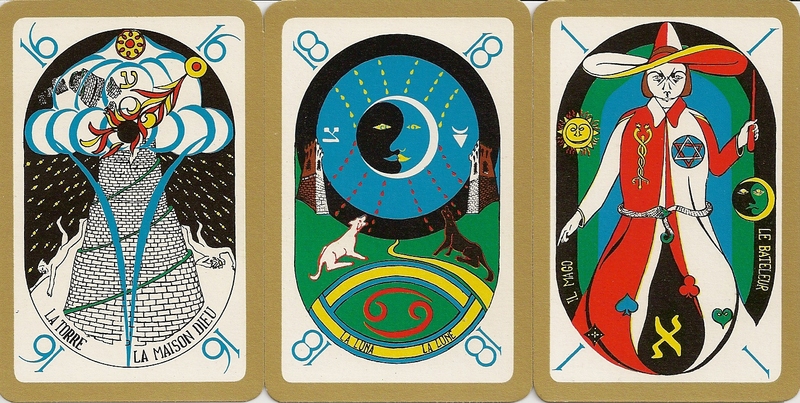 The deck’s art style is more common to standard playing cards than to tarot. The pip cards variously decorated, but are not illustrated in the Rider-Waite sense, and the deck uses the French suits instead of the Italian suits. 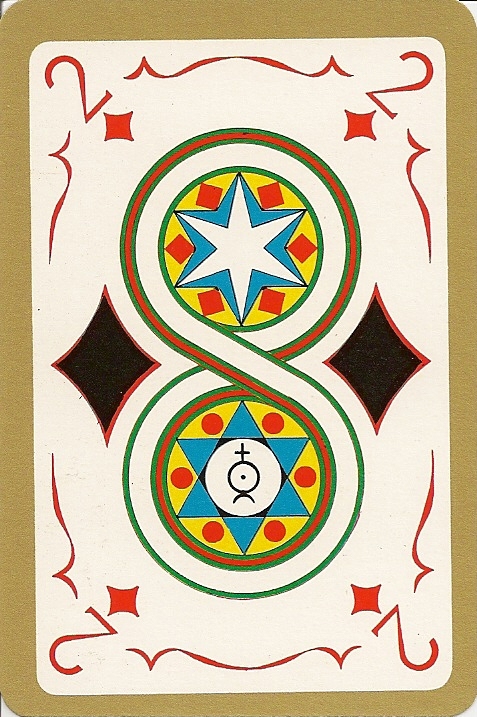 The cards are rendered in bold, flat tones of red, green, blue, yellow, and brown. The trump titles are in French and Italian, the trumps and pips are Arabic-numbered on all four corners, except for the knights. Of the two extra cards, one features a double-headed figure sitting in the lotus position, and the other is blank. The cards came in a blue standard cardboard box with companion booklet - in Italian only.